Internet Spokesmodels.com offers website video commercials that are popped up right on your front website page, on mobile devices and your facebook page. 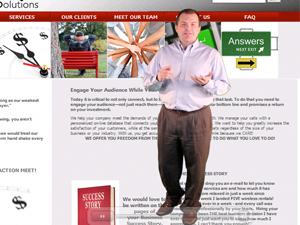 We use live actors to present your script or sales pitch. The contract is for one year at a time. With 1 year subscription $15.00 a month. For a 30 sec. video on your website. Subject to your website restrictions. Not valid with any other offer.